Tom Budinich graduated from the University of Puget Sound School of Law, now Seattle University School of Law, in 1993. 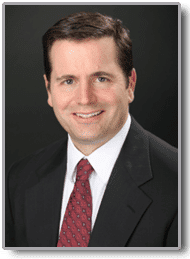 Early in his career, he worked at two different insurance companies evaluating and defending claims involving automobile accidents, premises liability, and medical malpractice claims. During this portion of his career he earned the CPCU (Chartered Property Casualty Underwriter) designation which is a comprehensive 10 course curriculum which studies all aspects of the business of insurance. Tom brings this knowledge of how insurance companies work to help his clients obtain the best compensation for their injuries. Tom focuses on representing injured people and helping them fully recover from the negligent acts of others. Over the course of his career he has seen far too many instances where a person has gone through the trauma of a car accident only to be pushed to the back of the line by an insurance company and ultimately given a low, take-it-or-leave-it settlement offer. Getting a better result for people who have been forced into this situation is very gratifying for Tom. Tom most enjoys getting to know his clients, and finding out about how their injuries have affected all aspects their lives. Has your injury forced you to miss work or are you less effective in your performance on the job? Has your injury impacted your family life or your ability to engage in your favorite recreational activities? Tom fully presents this information to insurance companies so that his clients’ claims can be negotiated in the most favorable light. 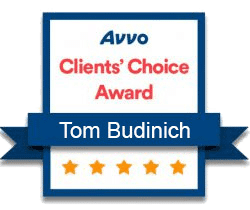 Tom has litigated cases in King, Pierce, and Snohomish Counties, and he serves as an Arbitrator for cases in King County Superior Court that are eligible for Mandatory Arbitration. “I feel that I have best served my client when I have aggressively pursued the at fault party, and at the same time educated my client as to the benefits, costs, and risks of litigation.” Tom has extensive experience in Alternative Dispute Resolution, and he has been very successful for his clients in negotiating favorable settlements throughout his entire career.